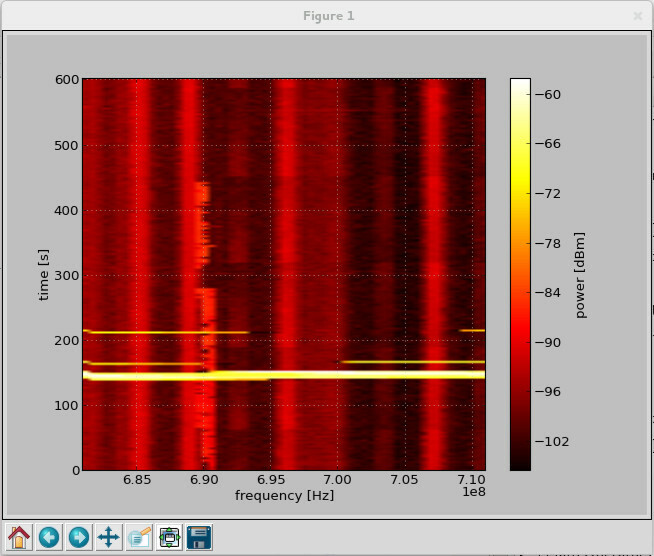 FCD scanner is a slow and simple implementation of a swept-tuned spectrum analyzer in Python. It can display received signal strength versus time versus frequency using a number of real-time visualizations and can also log measured data for later analysis. It works by sweeping a radio receiver through a range of frequencies and measuring the signal power at the receiver output. Resolution bandwidth is determined by the channel filter used by the receiver and sweep time is limited by receiver settle time. See also this blog post for some background information. can log measurements to an ASCII file. Funcube Dongle Pro using the GnuRadio framework. 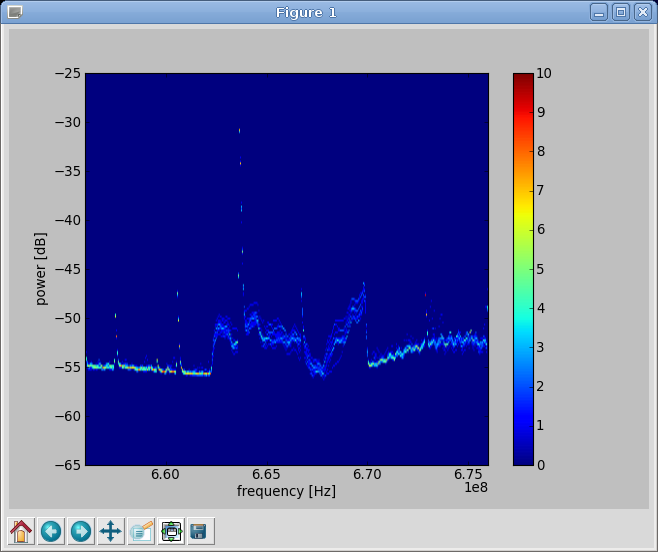 VESNA wireless sensor node connected through a serial port and running the vesna-spectrum-sensor application. If you want to process fcd_scanner log files in your own Python scripts, you can use the fcd_scanner.log.load() method and the FCDScannerLog object to parse the log file format. A script for loading log files into Octave or Matlab is also provided. See the README file and docstring documentation for more details. The latest development version is available for download. You can also get the Python source directly from the git repository using the command below. Refer to the README file included in the distribution for details on installation.